Homeowners Association plays an important part in the community by making sure that everything in the neighborhood is organized. We know that running your Homeowners Association is not an easy task. 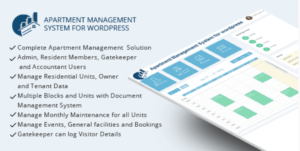 With our Miami HOA Property Management Web Design, we will help you learn how to strategically manage all expenses, including property management. Get in touch with us today to start! We use the latest technology to design Property Management websites for your community. Our property management websites are built to maximize the user experience, making them appealing and easy to navigate, as well as affordable. Regardless if your property management company has only one large community as clients or a couple of communities, managing them can be difficult. We can help. Control the branding of your HOA and show your potential customers why they should join your community. Our innovative designs and layouts will give your community a unique brand identity. Our team strives to build a social structure that involves all of your customers by dealing with matters that are bound to cause discord within an otherwise well-run community. A pleasant sociable community will increase the value of your property. We are always there to help you out. So, you can easily solve the business problems with our humble assistance. Our management software provides your residents with easy access to their account information 24/7. Why Choose Our Miami HOA Web Designer? Our approach is proficient and client centric. Client satisfaction will always remain our first priority. So our Property Management includes the latest and most progressive technology. Our team tries to bridge the gap between your clients and you. Our websites are functional, well-designed and are easy to navigate, making for a user-friendly experience. We focus on efficiency, cost savings, and better time and resource management. Your residents come first. Contact our Miami HOA Property Management Web Designer.